The 8th Nakshatra, i.e. Pushya Nakshatra. Sign and Degree – Pushya Nakshatra falls within 3.20 degree of Cancer to 16.40 degree of Cancer. So, Pushya Nakshatra falls completely within Cancer sign. We will see it further that how it helps the nature of Pushya and Cancer both. Name and its meaning – Pushya is origin of the word Poshan which means To Nourish or To Care. Other meanings are also similar like Nourisher or Nurturer. Representation – The main representation of this nakshatra is "Milk Yielding Cow's Udder". Through its milk, Cow nourishes not only its Calf but others too. Activation Age - Besides dashas and planetary maturity ages, another way of activating a planet is activation age of nakshatra it is sitting in. 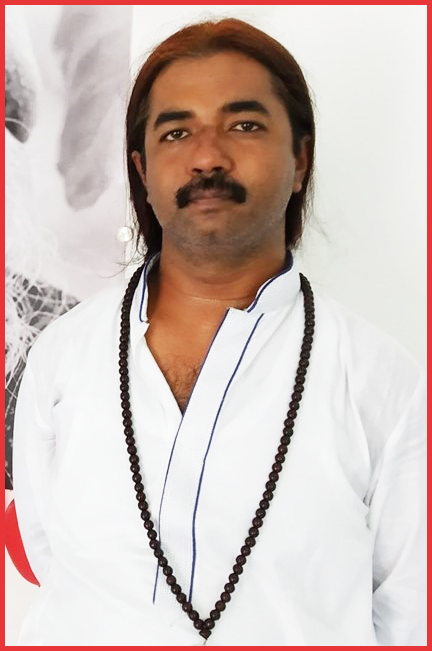 Pushya Nakshatra activates itself at the ages of 16th, 24th & 33rd year of age. Deity, Nakshatra Lord & Sign Lord – Main deity of Pushya Nakshatra is Brihaspati or Jupiter. Nakshatra Lord is Saturn. Cancer's lord is Moon. Mythological Story – This one is interesting. Brihaspati was great Guru of Gods. He had a wife named Tara. Tara was most beautiful celestial lady of her time but Brihaspati was always busy with his religious/spiritual pursuits and never gave any attention to Tara. Moon is best friend of Jupiter and used to visit his home. With time, Moon spell his magic over Tara and she ran away with Moon. Brihaspati felt cheated and went to all Gods to request & convince Tara to come back to him. God requested Tara and said that this act of infidelity is not good for her. Tara agreed to come back but by that time, she was already pregnant with Moon's child. The child born was Mercury. Now, although Mercury was not Brihaspati's own child but still Brihaspati accepted him as his son and took care of him & nourished him. Brihaspati was of the view that child has nothing to do with this all and if at all it is a mistake, then it is a mistake of all 3 of us. So, child should not suffer. This is the nature of Pushya. Taking care of others unselfishly. This story is also the reason behind friendship/enmity of Mercury-Moon and Mercury-Jupiter as Mercury felt that because of mistake of Moon and Jupiter both I got this life of ridicule as everyone treats me as an illegitimate child. As this nakshatra falls in the middle of Cancer sign and has the same significance of taking care and nourishing people, this is where energy Cancer & Pushya get aligned and become more potent. As this nakshatra comes after Punarvasu which is about rehabilitation, this nakshatra directly gets connected with health care and nourishing activities. But it is not all or only about Health Care. Basically, this nakshatra is about nourishing others, through any activity possible. Most common activities are health care and teaching. Basically, it is all about nourishing and taking care of people through whichever means. As this nakshatra is about taking care of others through your knowledge and wisdom of any field, Jupiter is exalted here at 5 degree Cancer. Prominence of this nakshatra can lead to someone becoming a caregiver or teacher or guide. As infidelity is important part of story, if relationship oriented planets are there then person can have inclination towards infidelity. As adoption is also an important part of story, these people can be inclined towards adopting a child. Basically, these people can be seen as universal mother or father who can love everyone equally and selflessly. So, they can be seen as people who have dedicated their life towards service of under-privileged people. 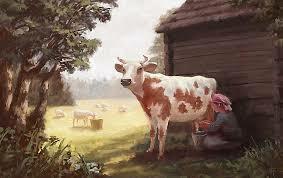 They can have work related with Cows or Milk as Cow's Udder is representation of this nakshatra. As it is in the middle of Cancer, it represents need of protection, safety and security too. The best results of Pushya Nakshatra can only be seen when person is serving others without any selfish motives. The moment person adds selfishness in his service, Pushya energy gets corrupted. Finally, as it is ruled by Saturn, person may realize this path of service later in life and after going through much hardships in life. Conclusion – So, this is some basic information and interpretation of Pushya Nakshatra.